Sample AMCAT Polymorphism Questions (Computer Programming) 2019: For engineering candidates, it is essential to take up Computer Programming section in AMCAT. This section includes questions from Object oriented Programming (OOP) concepts and below we will discuss the most relevant AMCAT Polymorphism Questions. First of all, under Object Oriented Programming, Polymorphism, Abstraction and Encapsulation topics are covered. Mostly 4-6 questions come from OOP and it takes almost 40 seconds to 1 minute to mark relevant answers. In addition, the level of questions is easy to average. Another point is, the questions are theoretical most of the time. Furthermore, we will be going through an outline of Polymorphism and practice questions related to it. Here are some of the theoretical explanation of polymorphism with real-life examples. In addition, there are two types of Polymorphism- run time and compile time. Polymorphism means to process objects differently based on their data type. This can be implemented by designing a generic interface, which provides generic methods for a certain class of action and hence there can be multiple classes, which provides the implementation of these generic methods. Consequently, Polymorphism could be static and dynamic both. Method Overloading is static polymorphism while, Method Overriding is dynamic polymorphism. C++ supports run time polymorphism with the help of virtual functions, which is called …………….. binding? Which of the following operator is overloaded for object cout? Find the wrong statement/s about Abstract Class? A. We can’t create its objects. B. We can’t create pointers to an abstract class. C. It contains at least one pure virtual function. Explanation: We can’t create pointers to an abstract class. Which of the following correctly describes overloading of functions? 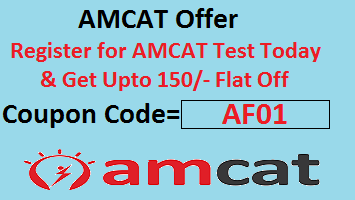 Any question or confusion on AMCAT Polymorphism Questions then please comment.